Give yourself a bit of retail therapy at Salamanca Market and Aspect Design. 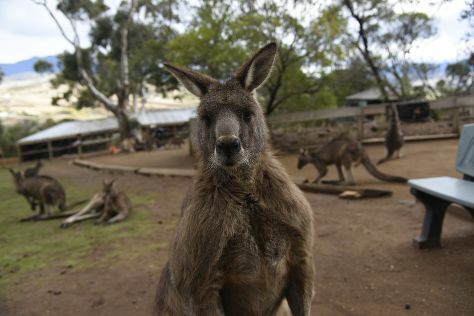 Step out of the city life by going to Bonorong Wildlife Sanctuary and Mount Wellington. On the 11th (Thu), give your taste buds a day to remember with a local gastronomic tour. There's much more to do: steep yourself in history at Cascades Female Factory Historic Site, take in nature's colorful creations at Royal Tasmanian Botanical Gardens, appreciate the extensive heritage of Battery Point Sculpture Trail, and take in the spiritual surroundings of St Joseph's Catholic Church. To see more things to do, other places to visit, photos, and other tourist information, you can read our Hobart tour itinerary planner. Perth to Hobart is an approximately 7.5-hour flight. You can also do a combination of train, ferry, and bus. You'll lose 2 hours traveling from Perth to Hobart due to the time zone difference. Expect slightly colder temperatures when traveling from Perth in July; daily highs in Hobart reach 15°C and lows reach 4°C. Wrap up your sightseeing on the 13th (Sat) early enough to drive to Strahan. On the 14th (Sun), tour the pleasant surroundings at Ocean Beach, then take in the dramatic scenery at Hogarth Falls, and then look for gifts at Wilderness Woodworks and Wilderness Whisky. For where to stay, reviews, and tourist information, use the Strahan online tour planner . Traveling by car from Hobart to Strahan takes 4 hours. Alternatively, you can do a combination of bus and car; or take a bus. Cap off your sightseeing on the 14th (Sun) early enough to go by car to Launceston. On the 15th (Mon), take in the exciting artwork at Tasmanian Copper & Metal Art Gallery, then identify plant and animal life at Cataract Gorge Reserve, and then pick up some local products at Harvest Launceston, Community Farmers’ Market. Get ready for a full day of sightseeing on the next day: explore the galleries of Design Centre Tasmania, appreciate the views at The Tamar Valley, then view the masterpieces at Greenoaks Gallery, and finally stroll around City Park. 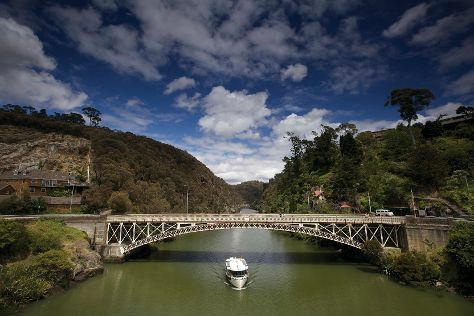 For more things to do, maps, traveler tips, and tourist information, read Launceston trip builder site . Drive from Strahan to Launceston in 4 hours. Alternatively, you can take a bus. In July, daily temperatures in Launceston can reach 13°C, while at night they dip to 2°C. Cap off your sightseeing on the 16th (Tue) early enough to go by car to Coles Bay. 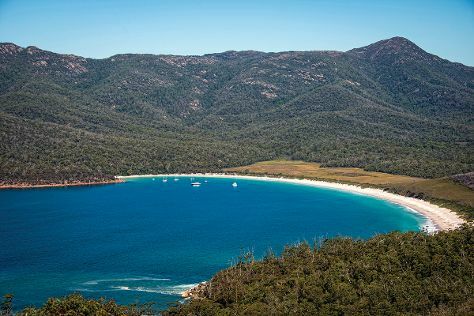 Kick off your visit on the 17th (Wed): walk along Wineglass Bay Lookout, then stroll through Wineglass Bay, and then take a leisurely stroll along Coles Bay Jetty. For where to stay, photos, other places to visit, and other tourist information, refer to the Coles Bay trip itinerary planning site . Traveling by car from Launceston to Coles Bay takes 2.5 hours. Alternatively, you can do a combination of bus and car; or take a bus. Cap off your sightseeing on the 17th (Wed) early enough to go by car to Port Arthur. 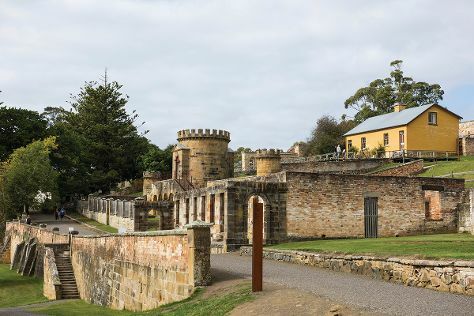 Kick off your visit on the 18th (Thu): contemplate the long history of Government Cottage, appreciate the extensive heritage of Port Arthur Historic Site, and then don't miss a visit to Australian Convict Sites. On the 19th (Fri), you'll have a packed day of sightseeing: trek along Three Capes Track. Before you visit Port Arthur, use our trip planner to discover what you can do and see there. Traveling by car from Coles Bay to Port Arthur takes 3.5 hours. Alternatively, you can take a bus. July in Port Arthur sees daily highs of 15°C and lows of 4°C at night. Finish your sightseeing early on the 19th (Fri) to allow enough time to travel back home.